One example of this self-exploration and development lies in his technique. 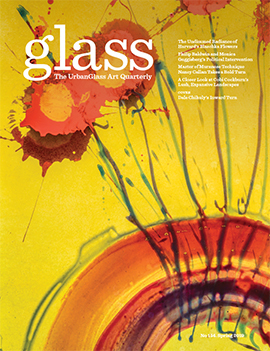 As a graduate student at Rochester Institute of Technology, Bernstein discovered a method of fusing steel onto the surface of cast glass after an accident in his glass-artist parents’ hot shop. After welding and grinding steel too close to one to of his father’s glass pieces, he discovered that the tiny pieces of steel that were ground down in the process actually fused with his father’s piece. He developed this technique during his studies at Rochester, and now uses it regularly to create opacity in his work. He called this discovery “a huge technique that I could use to express my voice through this sculpture,” and said that after teaching it to students at Pilchuck, his students lovingly named the process ‘Bernsteining.’ “So my name is kind of a verb now,” he said. Bernstein also uses more natural processes in his work, in an effort to explore the idea of nature that he tries to embody in his sculpture. 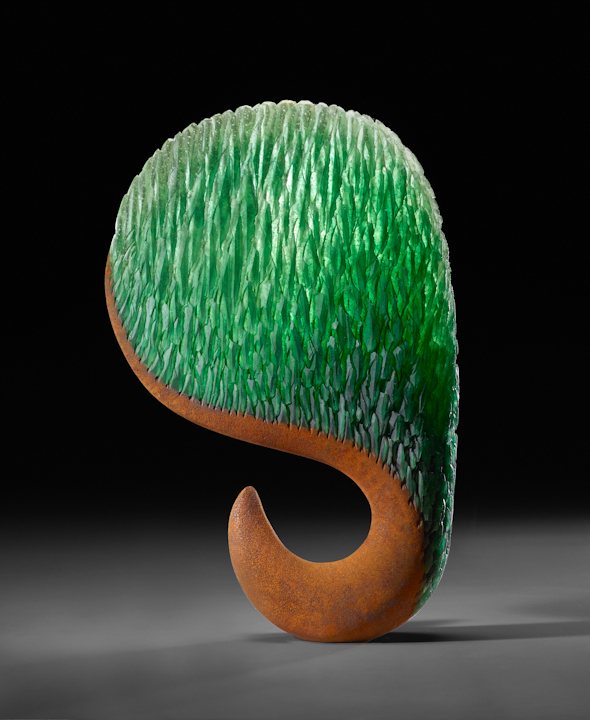 For example, he posted a picture on Instagram in April of a steel and glass sculpture entitled "Emerald Fan," resembling a huge plant out in the rain in an effort to oxidize the steel. “And the piece evolved,” he said. “It continued to rust and to change color and to grow, I mean not literally grow taller, but the rust was growing.” As the rust continues to develop, he said that he hopes that it will eventually fall away, like a plant emerging from a seed. 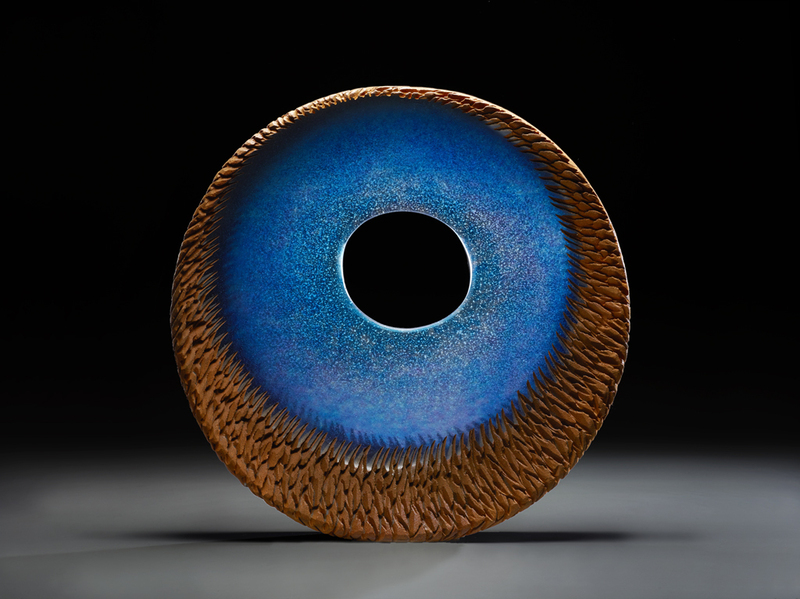 Other influences on Bernstein’s development include his parents, William and Katherine Bernstein, who are both both active glass artists and were a part of the Studio Glass movement. While they have vastly different styles from their son and make mostly figurative work and vessels, their influence has nevertheless been an influence on Alex. “I don’t know how much they taught me about making my own art, but I try to be sincere and honest, and I think I learned that from my parents,” he said. Of course, with parents involved in studio glass, Alex grew up immersed in the world of glass. 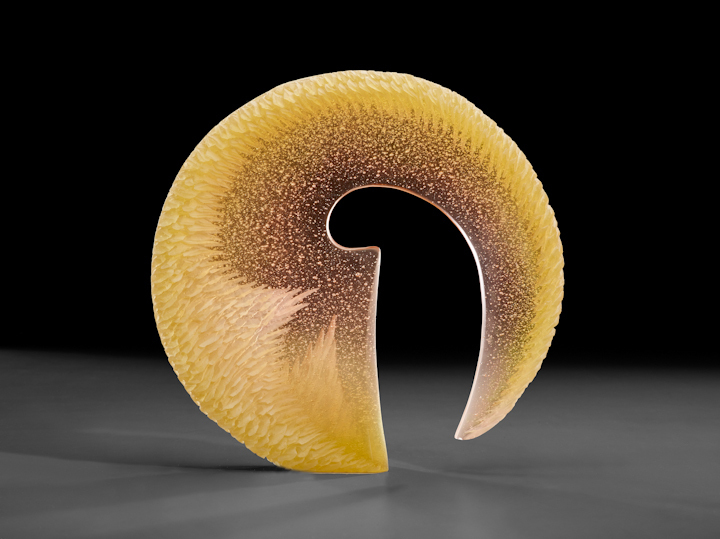 He recalls Dale Chihuly coming over for dinner, causing trouble as a 12-year-old in Harvey Littleton’s studio, and ruining a stained glass window by Paul Marioni, who was also a friend, by picking the lead off as a child. “I just thought my parents had really wild, weird friends, but it turns out a lot of them were wild, weird, very successful artists!” he said. Though he originally tried to rebel against the career paths of his parents, receiving a B.A. 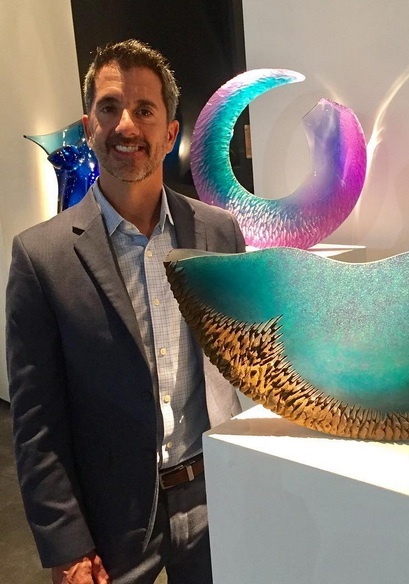 in psychology and then working for three years at a children’s psychiatric hospital, he eventually figured out that his passion lies in casting glass. Now, he said that even when he is on vacation, he becomes anxious and antsy until he can get back into his studio—a long way from wanting to rebel against his glassblowing parents. 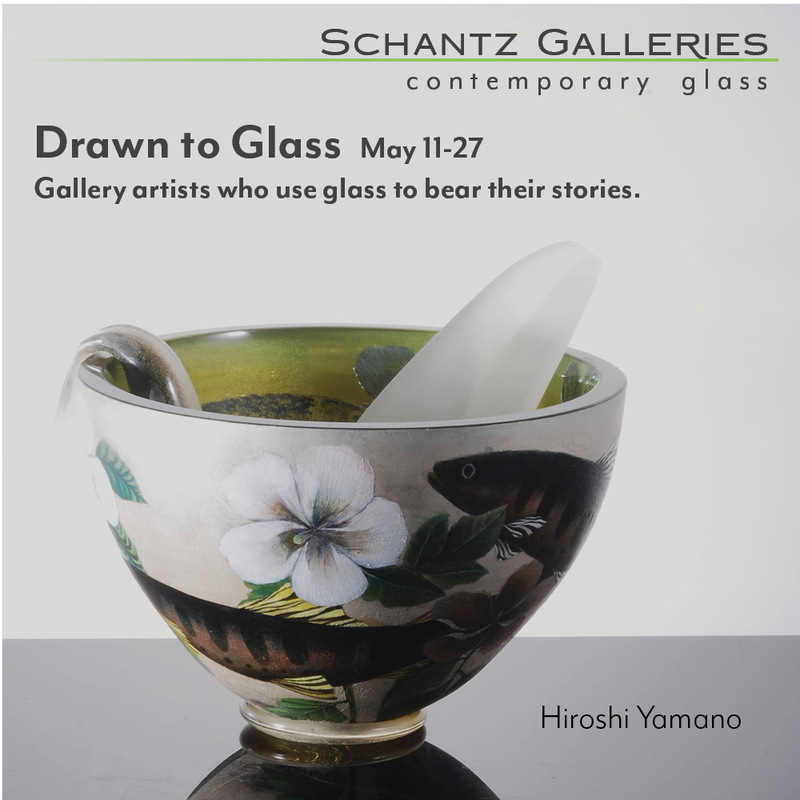 "Exhibition of New Glass Sculpture"